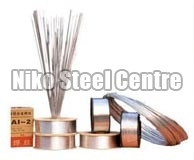 The company is specialized in dealing with optimal quality Steel Filler Wire in the industry. The Steel Filler Wire made available by us are manufactured from top class stainless steel of grades like 308, 308L, 308MOL, 309, 309MOL, 316, 316MOL etc. These Steel Filler Wires are accessible with bright polished finish in different shapes such as round, square, hex (A/F), rectangle, wire (coil form). We procure Steel Filler Wires from the reliable manufacturers like Mukund, Shah Alloys, Faker, Panchmahals, Chadan et cetera. 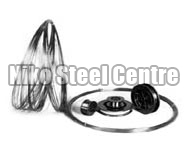 Our entire collection of Filler Wire, is available at industry leading prices. In addition to this, we are one of the foremost Steel Filler Wire Exporters and Suppliers in India. 304, 304L,316, 316L, 316LN, 316Ti, 309, 310S, 321, 202, 410S, 409, 409L, 430, 430TI, 420, Etc.